much too lazy and tired to write....the pics will have to do for now! sonia of the lively-wood, best stall mate ever!! all the wooden mirrors and small furniture items that you see are made by her, hand painted and she even takes custom orders for interior spaces!!! check out her website and blog for more..
my fav picture ever...these two girls spent so much time trying out all the necklaces!! new cushions from our eco friendly range called edhaa..the collection includes, ahimsa silks, muga-the wild silk of assam and naturally dyed fabrics. the lovely ms priya dutt at our stall...we presented her with a short kantha stole! 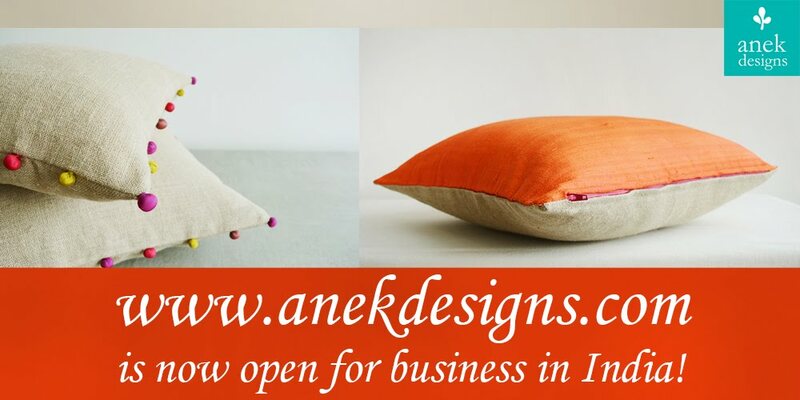 i wish to thank all of you who came and supported anek designs...it meant a lot! thank you!! hey ladies...the exhibition was a success!!! well our (husband and i)expectations from Mumbai were higher....but the city certainly did not disappoint us! Wow, looks like a great exhibition!! it was....such a lovely event...the exhibition was a success and met a lot of super talented women!!! Wow! Kanika ...Way to go...I have been your follower since you actually started this blog and have seen it progress in leaps and bounds (both your work and the blog :) , you are an inspiration, and I love reading your posts. Your work is fab , I am a great fan of Katha work and been eyeing your Cushions on etsy for a long time, Hopefully will be able to get them home pretty soon :) Wishing you all the best. thanks sharkara...why haven't you shown up all along?? thank you for you lovely comment! emreen..it was a lot of fun..thanks!! It seems you had a great time at the exhibition. We have been invited by black taxi to participate in their event this May. Was wondering if we should join in. Given the transport cost and the participation fees is it worthwhile? What are the footfalls and publicity like? Please guide! dedicated to all the tea lovers..
so what are you doing on good friday? ?